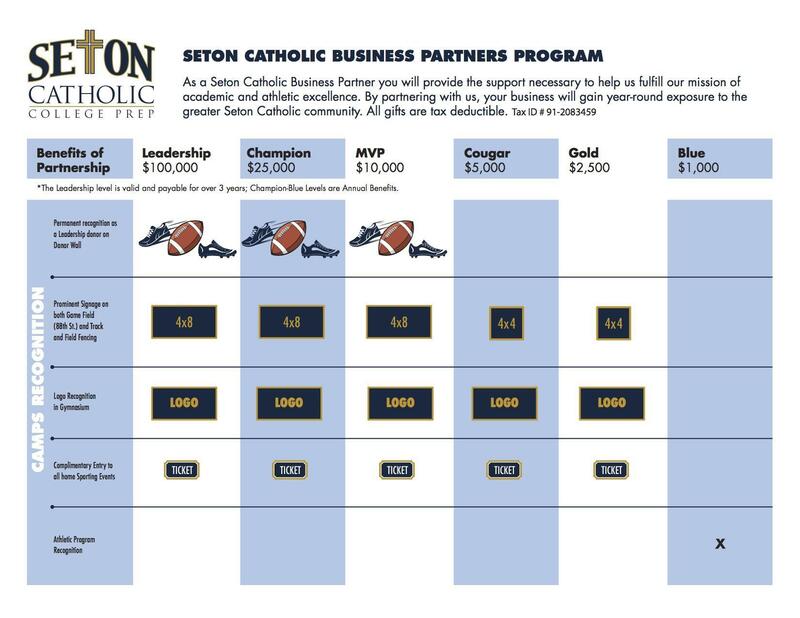 Business Partnership Program: Seton Catholic provides unique and exciting business sponsorship opportunities. By partnering with Seton Catholic, your business will support Seton's mission, while also gaining great year-round marketing exposure to the Vancouver community. 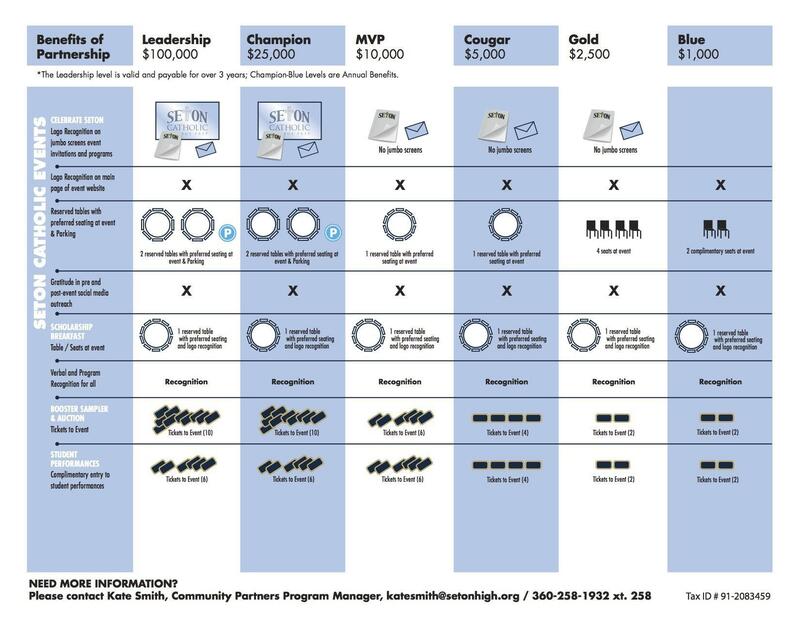 Below are the different levels of our sponsorship program. Athletic Program Ads: *New Opportunity! Are you a small business owner or know someone who is? We are excited to announce that Seton Catholic now has an opportunity for local businesses to promote themselves on our Athletic Programs for Fall & Winter Seasons. All ads are the same size and cost $250 per season. All proceeds from this effort go to support Seton's Athletic program and gifts can be earmarked for specific sports. Please complete the form below and return to the main office. Please contact Kate Smith, Community Partners Program Manager at 360-258-1932 x 258 or katesmith@setonhigh.org to learn more about these exciting opportunities to partner with Seton Catholic. For inquiries on special events please contact Jen Naughton, Assistant Director of Development at 360-258-1932 x 263 or jnaughton@setonhigh.org.